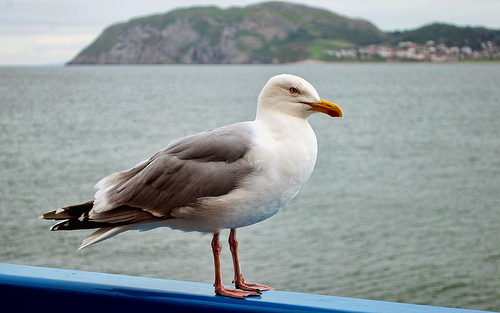 The Herring Gull is a large, strong gull, once much seen at garbage dumps. When the open dumps were closed, the population of the Herring Gull decreased, but it remains a common breeding and wintering bird. Breeding is limited to the coastal provinces. Apparently the sea as a feeding area is vital for the Herring Gull. The Herring Gull has light grey wings. 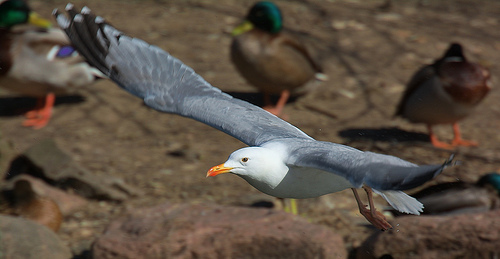 The Lesser Black-backed Gull has dark grey wings.